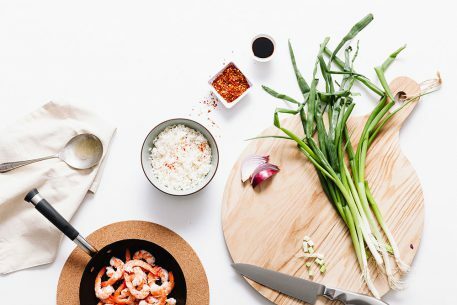 Chilli con carne, biryani, curries, fried rice and sushi can all be guilt-free additions to the weekly meal plan by substituting Slendier rice for the usual high-carb culprits. 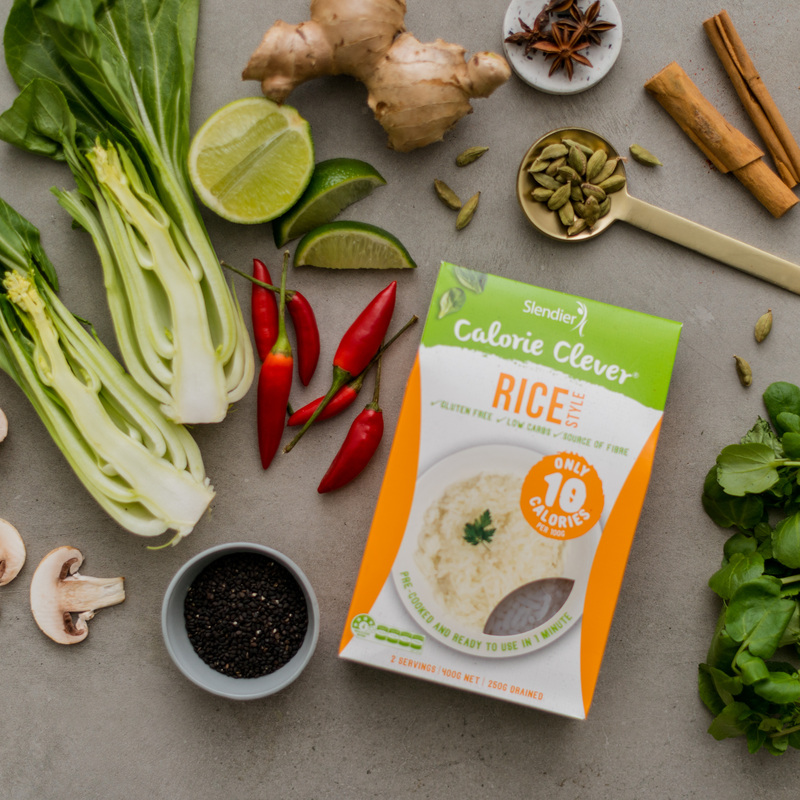 The texture is so similar to your usual rice, even your most discerning dinner guests won’t know the difference. Our rice can also form the basis of some delicious breakfast and dessert dishes. Refrigerate once opened and use within 3 days. 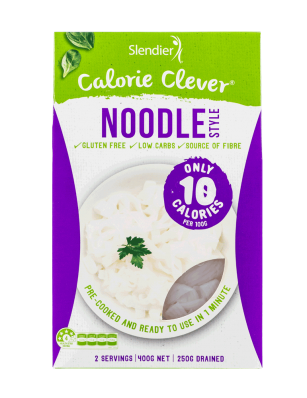 Can help you lose fat Slendier is low calorie – each 100 grams contains only 10 calories. Bloating relief. Slendier is low carb and perfect for Paleo, Atkins or any other low-carb diets. 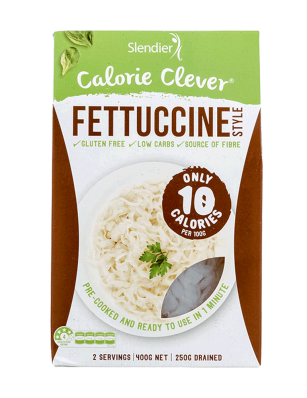 With less than 0.8 grams of carbs per serve, you’ll experience less bloating from carrying around excess water weight. 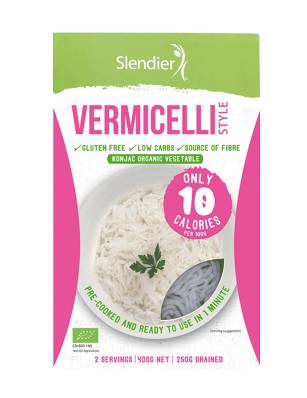 High Fibre Slendier keeps you fuller for longer. 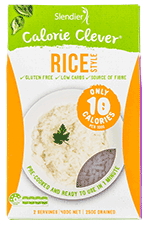 In every serve you’ll find five grams of fibre that help digestion. 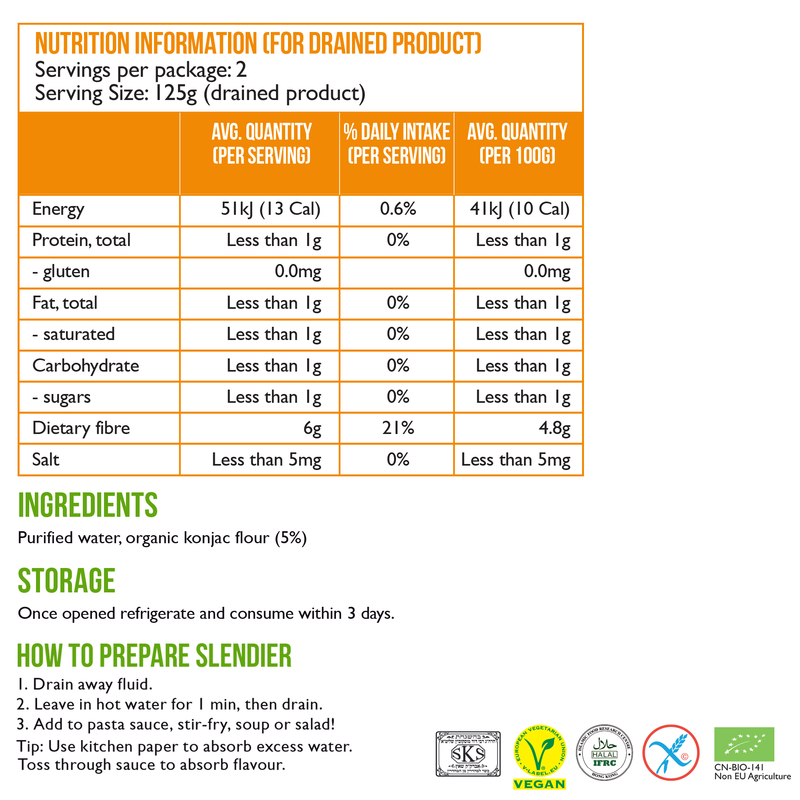 After eating Slendier, you won’t be reaching for unhealthy snacks ever again. 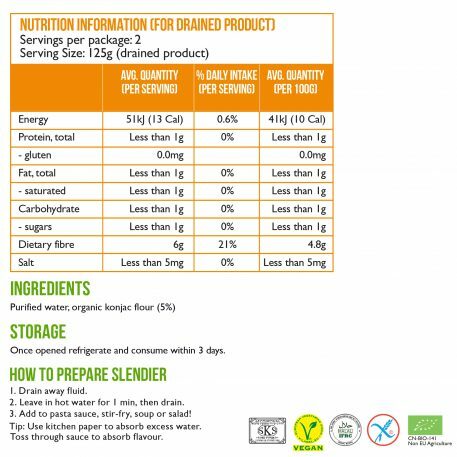 Quick to prepare Slendier is pre-cooked and only takes one minute to serve – it easily fits into your busy lifestyle. 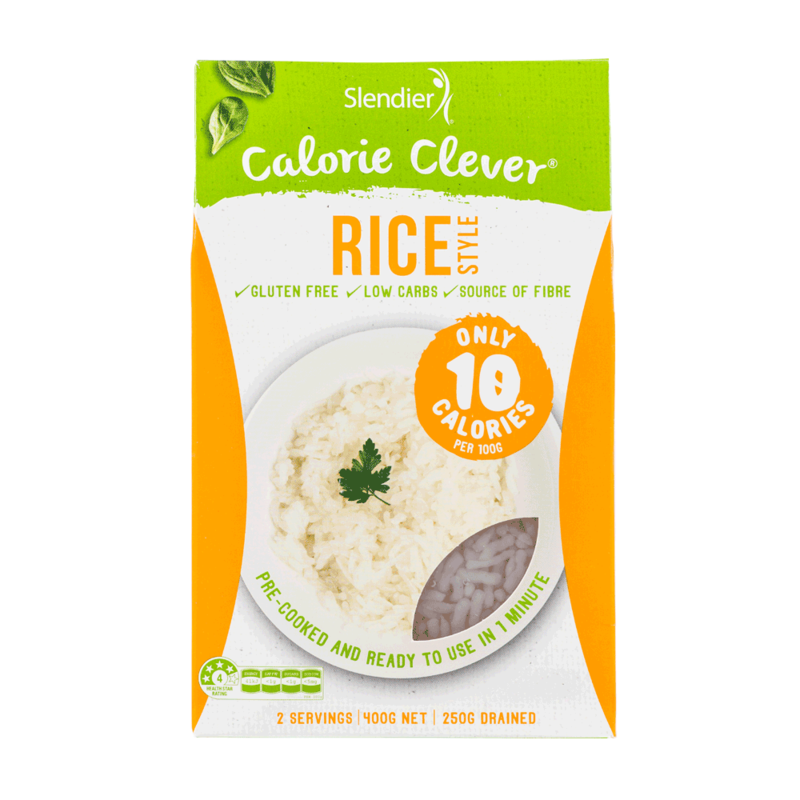 Quality ingredients Slendier is gluten-free, fat-free, sugar-free, dairy-free, soy-free and vegan. 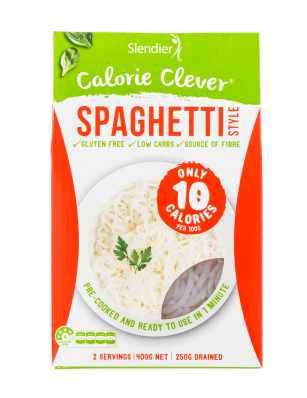 Slendier low-cal spaghetti contains only two ingredients - purified water and konjac flour. Be assured feeding your family Slendier is not only delicious but safe. 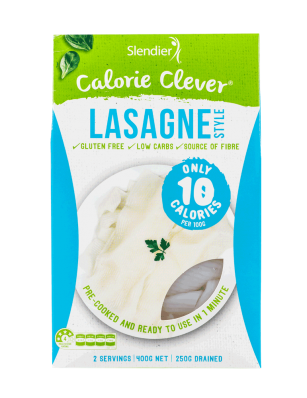 Slendier products will soon be available in the health food aisle of major supermarkets nationally, as well as health food stores, pharmacies, gyms and dietitian clinics throughout the United kingdom.